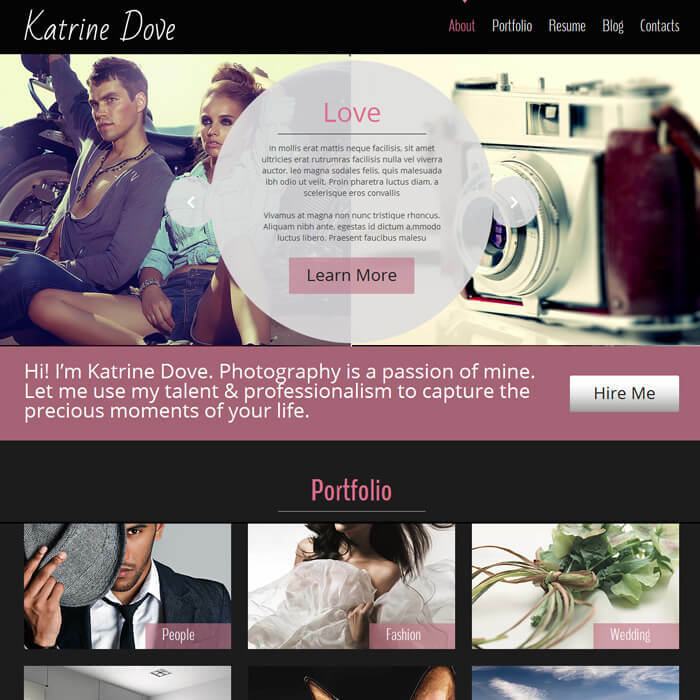 The Katrine Dove free HTML website template follows the latest web design trends. An image slider is showcased in a split screen view. Portfolio section has a card layout, which is considered to be the best way to list your work examples.